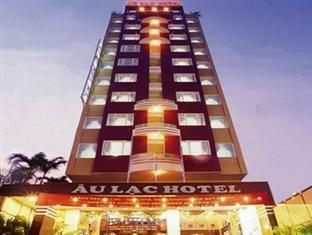 Located in the heart of Ho Chi Minh City, Au Lac II Hotel is within a 5-minute walk of Opera House and Ben Thanh Market. 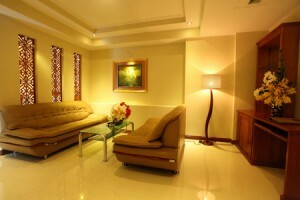 It offers modern rooms with free Wi-Fi access. Au Lac II is a 10-minute walk from Notre Dame Cathedral and Reunification Palace. The Tan Son Nhat International Airport is a 30-minute drive away. 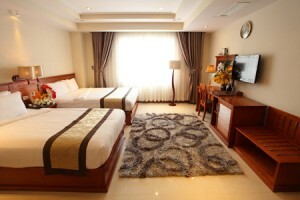 Fitted with tiled flooring, air-conditioned rooms offer a 32-inch TV with cable channels, a personal safe and a minibar. Private bathrooms come with both bath and shower facilities. The restaurant serves a buffet spread of Asian and Western dishes at breakfast. Lunch buffets are also available, along with room service. Guests can go for a massage, or make travel arrangements at the tour desk. Staff at the 24-hour front desk can assist with luggage storage, laundry and fax/photocopying services. Currency exchange and car rental services are also available.